Home Bible Why The Bible Verses? Eureka moment! Because there in the Bible was exactly what had happened to Tee. She’d acquired knowledge she’d rather not and shouldn’t have and it began to make her life wildly complicated. After discovering a verse that so closely correlated what was happening in the book, I discovered other verses which directly related to what was happening in one chapter or another, so I started notating them and then I began searching in earnest for ones that would be a good fit for all the chapters. Thirty-nine or so Bible verses later I was done. Was this Divine Inspiration? I like to think so. I don’t go around touting religion or my personal spiritual beliefs, but it isn’t a secret that I believe in God or that I think He’s the source of all inspiration. Yet in retrospect, I can see there is a theme. It’s a bit like the story of Adam and Eve in the Garden. 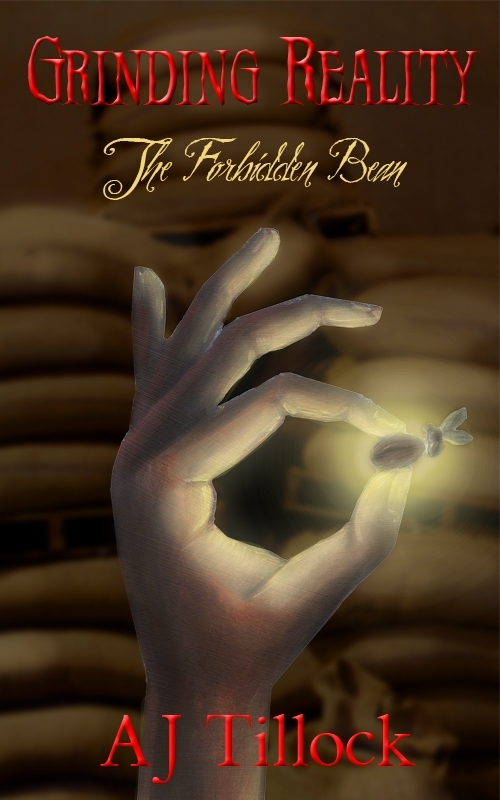 Because of her job, Tee is surrounded by every type of coffee bean imaginable, yet what does she do when she finds a clearly forbidden bag of coffee beans? She opens it and (accidentally?) swallows one. Which is exactly what Adam and Eve did. Every tree in the garden they had to choose from, but they couldn’t resist the temptation of tasting the fruit from the one forbidden tree. Their lives became vastly more complicated because of their own choices. Tee has the same problem. They say knowledge is power, but knowledge can also be dangerous. Life for Tee becomes a precarious balancing act. She’s out on a highwire alone because if she told anyone what happened when she swallowed a bean, well, actually she doesn’t know what would happen, but she imagines the worst after she tries to explain her out-of-body experiences to her psychiatrist. Besides, she can’t prove the transformations caused by the beans actually take place. Whether I intended it or not, there’s definitely a good vs. evil theme in The Forbidden Bean. aj tillock, barbara meyers, Bible, the forbidden bean. Bookmark.